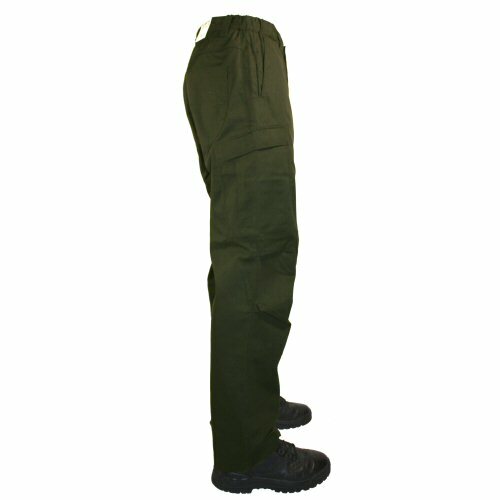 Olive Vertx tactical trousers combine a low visual profile with the performance of a battle garment. 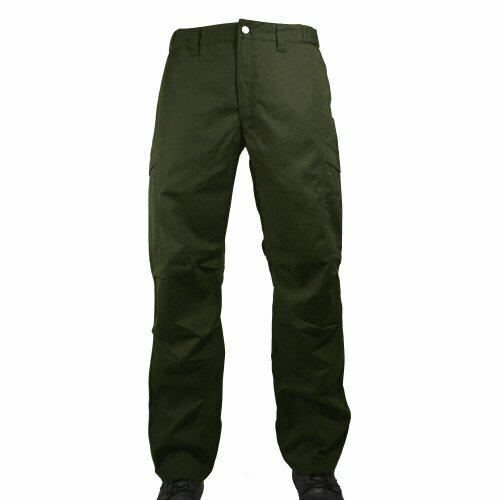 The Vertx VTX8000 trouser is made from a lighter weight, moisture wicking 65/35 Poly cotton ripstop fabric, with performance features such as: gussetted crotch for better movement mapping; jean style lower back panel for less riding on the back; elasticated stretch areas on left and right waist; wider 1/2 inch belt loops to fit a 40mm belt reinforced with bar tacks; cut in hip pocket to prevent wear on the side seam; flat front; discreet expanding cargo pockets; self closing cargo pocket lids which do not require additional flaps, buttons or velcro and can be accessed silently; two expansion pleats per knee; double stitched ankle hem, large seat patch pockets. 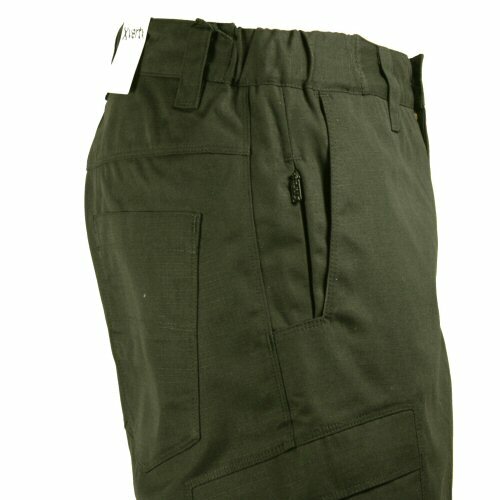 The trouser close with rivetted button waist and metal zip fly. Extra thigh space is discreetly provided by the long panel gussetted crotch. 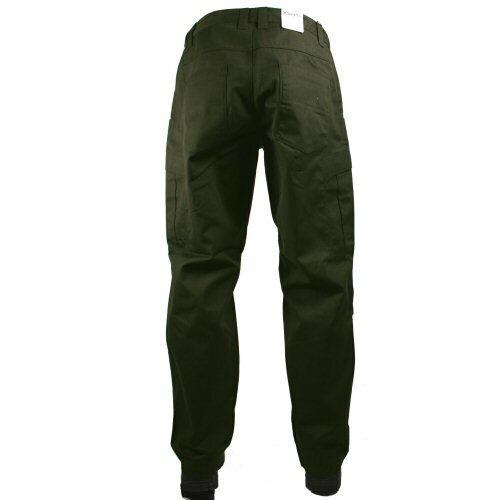 The trousers are an athletic fit. The waist size specified is the maximum size, with the elastics fully stretched open, so moving up one size is recommended if your normal fit is towards the outer range of the inch band. Sizes shown in inches on the waist, followed by inseam. Available options are: 32-32 , 34-32 , 34-34 , 36-34 , 38-34 , 40-34 .